Below are links to NorthGenes Terms and Conditions. These can be read online or downloaded in PDF format. 1. NorthGene is registered in England under Company No 2914392. Our office is based in the The Biosphere, Newcastle Helix, Newcastle, NE4 5BX. Our laboratory is registered on the Ministry of Justice list of approved accredited bodies. 2. In these terms “sample” shall mean any biological sample accepted by NorthGene for DNA analysis. “DNA testing” and “DNA analysis” shall refer to any type of relationship analysis and shall be carried out using whatever genetic test(s) is/are deemed necessary by NorthGene Ltd and our Laboratory. c. Any extra scientific work required in forensic science investigations. 4. Client means the individual, an authorised Legal Representative or other body requesting the services. In the event of the client, or any individual required to attend by the client, not attending a pre-arranged sample collection appointment or not giving at least 24 hours’ notice of cancellation a fee of £30 plus VAT shall be payable by the client. b. Receipt of all samples relevant to the purpose for which the test is required. 6. Part-payment of the required fee is required prior to testing for immigration cases or, in a legal case, agreement to pay against an invoice sent out on registration. Investigations ordered by solicitors, courts or government agencies will be invoiced with payment due by 30 days from the date of invoice. Full upfront payment is required for all peace of mind testing. 7. NorthGene reserves the right to withhold the DNA report until payment is made in full. In legal cases it is the responsibility of the referring solicitor to ensure that full payment is made by all parties. If an invoice remains unpaid at the end of the period of grace, an additional administrative fee will be added of 10% of the sum total excluding VAT. After a further 30 days, interest at 2% per month will be added. 8. NorthGene does not accept responsibility for the acts or omissions of external samplers (e.g. doctors/nurses/Embassies) or external handlers of samples. 9. NorthGene reserves the right to request further samples at the expense of the person requesting the DNA analysis in cases where the quantity or quality of the sample received is not adequate or does not comply with the instructions issued with the testing kit. 10. NorthGene will endeavour to produce a report within a reasonable time but cannot accept any responsibility for any delay however occasioned. 11. NorthGene will undertake the DNA analysis on the understanding that the final report will be made available to all persons who have provided a sample(s) or who have a lawful interest in the outcome of the test and to any Court that has ordered the analysis or disclosure of the report, unless instructed not to do so. Reports will only be disclosed in writing. 12. Any sample will not be released to any other person or organisation without the donor’s written consent or a Court order. 13. Records will be retained for a minimum of one year from completion of testing , or in the event that samples are not received within this time frame, the case file will be closed. Samples will be destroyed after six months from completion of testing. 14. In the event that you wish to cancel a case after you have registered with us a cancellation charge plus VAT will be levied. The amount of this charge will depend upon the level of work that we have completed up to and including the date of such cancellation. Peace of mind cases are non-refundable. 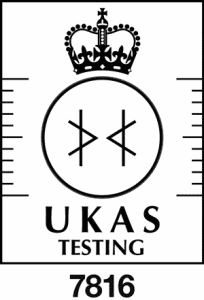 Cancellation charges for all other cases range from £95 to the full amount of the test. If you wish to download a PDF of our DNA Testing Terms and Conditions please click this link. 1. NorthGene is registered in England under Company No 2914392. Our office is based in The Biosphere, Newcastle Helix, Newcastle, NE4 5BX. Drug and Alcohol tests are subcontracted to a BS EN ISO17025:2005 accredited laboratory. 2. In these terms “sample” shall mean any biological sample accepted by NorthGene for Drug and Alcohol testing. “Drug and Alcohol testing” shall refer to any type of analysis and shall be carried out using whatever chemical test(s) is/are deemed necessary by NorthGene Ltd and our testing Laboratory. ii) The production of an Expert Witness report. iii) The attendance of an Expert Witness at Court hearings; iv) Any extra scientific work required in forensic science investigations. 4. Client means the individual, an authorised Legal Representative or other body requesting the services. In the event of the client, or any individual required to attend by the client, not attending a pre-arranged sample collection appointment or not giving at least 48 hours’ notice of cancellation a fee of £250 plus VAT shall be payable by the ordering party. 6. Investigations ordered by solicitors, courts or government agencies will be invoiced with payment due by 30 days from the date of invoice. Full upfront payment is required for all private testing. 7. NorthGene reserves the right to withhold the Drug and Alcohol testing report until payment is made in full. In legal cases it is the responsibility of the referring solicitor to ensure that full payment is made by all parties. If an invoice remains unpaid at the end of the period of grace, an additional administrative fee will be added of 10% of the sum total excluding VAT. After a further 30 days, interest at 2% per month will be added. 9. NorthGene reserves the right to request further samples at the expense of the person requesting the Drug and Alcohol analysis in cases where the quantity or quality of the sample received is not adequate or does not comply with the instructions issued with the sampling kit. 10. NorthGene will endeavour to produce a report within a reasonable time but cannot accept any responsibility for any delay howsoever caused. 11. NorthGene’s Subcontracting Laboratory will undertake the Drug & Alcohol Testing on the understanding that the final report will be made available to the ordering party and any individuals or organisations that have a lawful interest in the outcome of the test, unless instructed not to do so. Reports will only be disclosed in written or electronic form. 13. Records will be retained for a minimum of one year from completion of testing. Samples will be destroyed after six months from completion of testing. 14. In the event that you wish to cancel a case after you have registered with us a cancellation charge plus VAT will be levied. The amount of this charge will depend upon the level of work that we have completed up to and including the date of such cancellation. Cancellation charges range from £100 to the full amount of the test. If you wish to download a PDF of our Drug and Alcohol Testing Terms and Conditions please click this link.